The conversion rate describes the percentage of times that site visitors perform a specified action on the website. Conversion goals in online marketing or e-commerce often relate to the purchase of products in an online store, providing contact details for lead generation, or completing a registration procedure on the site. Marketing departments use the conversion rate to measure the percentage of conversions via a company website or mobile app. Conversions are certain objectives previously defined by the company. This statistical information is usually broken down into the individual steps a customer completes during the purchase process or perhaps to gain a company service or product. This allows both the appeal of the website and also the final purchase of a company product to be separately assessed. The conversion rate details what proportion of site visitors have performed a specific pre-defined action during the purchase process (or conversion). Example: A website offers an e-book as a free download. In return for this download, the website operator requires the e-mail address of each downloader in order to keep them informed about future content. The conversion aim here is thus to turn site visitors into potential customers who can be contacted by the company. Click/Traffic: The traffic is the number of users who visit a site. The clicks made by these users are typically differentiated according to their origin: for example, SEO, SEA, or referrals. Increasing the traffic is one common conversion goal though raising the quality of the traffic can often be even more important. For each of these target groups, the more appropriately a company addresses them, the more likely it is that they will then progress on through the conversion funnel. Traffic can often be increased by employing the right kind of advertising (for example, using Google Adwords), good Search Engine Optimization, and good content. Prospects: A website visitor who is interested in a company’s products or services is already a step or two ahead of a more casual user who just visits a page, reads an article, and then bounces off the site. Such prospects can often be identified by the length of their stay or the number of pages they visit. Good usability, cleverly constructed pages, and especially good relevant content contribute to conversion goals and help to turn site visitors into prospective customers. Leads: A prospective customer who gives his contact details to a company becomes a lead. These visitors will share their data in exchange for a free download, registering for the company newsletter, or simply asking for a quote. Marketing or sales contact with these users is then used to achieve further conversion goals. Generating leads requires interesting, good-quality content or a very good product. Registration: A prospective customer, or lead, who is impressed by the products or the services offered on a certain platform, or one who wishes to try them out, will then sign up for a personal account. This type of user is already so far advanced in his purchase intention that he actively considers the company to be a potential supplier of the products he is searching for. Good usability, clearly defined content or helpful product descriptions, and a good site structure will help to move this prospect towards registration. Purchase: When a user purchases a product after he has opened an account, he becomes a customer. For many companies, a sale is the most important and final conversion goal, even if (like most other goals) it can often be defined in several different ways. From the shopping cart or methods of payment offered to the shipping conditions, many aspects of the actual purchase process can be optimized with the aim of converting a prospective customer. At the same time, the risk of abandoning a purchase can be relatively high because the customer has reached the point where he will be required to disclose sensitive information, such as his address or even his bank details. Users will not always follow every step of the conversion funnel. Some users will skip certain steps or join the process at an earlier or later phase. It is the company’s responsibility to guide the user through all the various steps of the conversion funnel as effectively as possible. Many factors influence how well the conversion process works at each step and affect the final conversion rate. These factors can be divided into uncontrollable and controllable factors. Uncontrollable factors include seasonal or weather-related fluctuations. Thus, the marketing department, for example, can only partially respond to the annual slump in summer sales, and options to improve conversion rates here are very limited. Furthermore, neither legislation nor political influences can realistically be influenced by individual companies. Conversion Optimizer is based on meaningful tracking and really effective testing. Usability specialists test everything from the colors used in design structures right up to the website content used by online stores. These results provide marketing experts with a hypothesis to improve conversion rates. Different versions of a site are then created to test this new assumption, and the results are measured. Based on test data and outcomes, applications are subsequently optimized, and the site is then retested. Conversion optimization is thus an iterative process that offers a basis for continuous improvement. Measuring the conversion rate is often a major challenge for website owners. To properly understand customer actions and conversions, efficient tracking must be implemented, the right goals must be defined, and all data outcomes must be correctly interpreted. Users are typically tracked via cookies – small snippets of code stored on the visitor’s computer that the website can recognize. However, there are many other tools which can record user behavior in different ways. For every measurement and recording of user data, website operators will need to carefully consider and observe data protection guidelines based on where their customers are. In the US, for example, there is no set formal federal regulation; however, there are a number of understood traditions. Conversions can be measured using tools such as Google Analytics and then expressed numerically. Heat mapping software such as CrazyEgg detects where users click most often, which can assist conversion optimization. Even tools like Mouseflow can show where there is potential for page optimization by recording the user’s screen and thus revealing the causes of any usability problems. Many software vendors also specialize in testing. The Visual Website Optimizer is a tool that can be used to test different site versions against each other for optimization purposes. And Unbounce, among others, serves as a helpful tool for the quick and easy building of different landing pages, which can then be tested and compared. 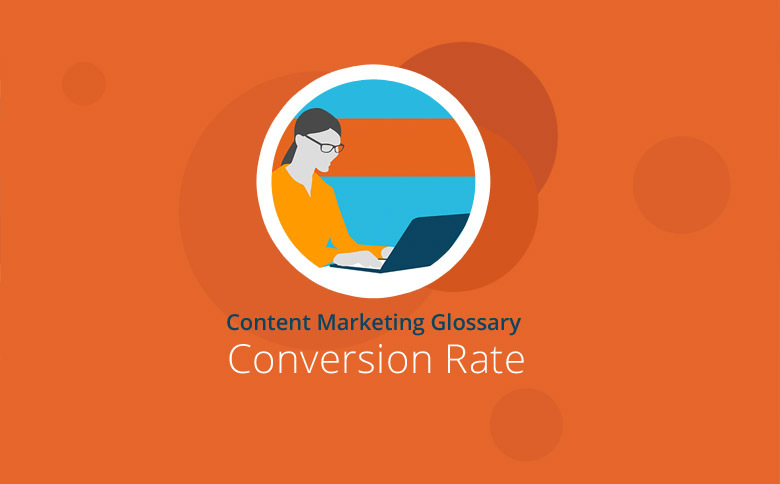 The conversion rate indicates what percentage of an online-marketing target was achieved. There are numerous conversion goals ranging from increasing website traffic to generating repeat customers. A conversion funnel typically arranges individual goals in a certain pre-defined order. Many factors can affect conversion rates and a website owner can influence some, but not all, of these. However, effective tracking and measuring, supported by structured testing, is the recommended method of optimizing website conversion rates.